..this is a wonderful article from our friend, Jonathan Singer, on the effective – and safe – use of social media with students. Editor’s Note: We welcome our guest columnist for this issue, Jonathan B. Singer, of the Social Work Podcast, and co-author of Suicide in Schools. Schools rely on school-based mental health professionals to identify and respond to emotional and behavioral problems, provide psychoeducation to students and parents, deliver trainings to teachers and other staff members, and address barriers to social-emotional learning that might occur at multiple levels (Erbacher, Singer, & Poland, 2015; Kelly et al., 2010). Increasingly, this means understanding and using social media to identify and address suicide risk. What is the role of technology in school-based suicide prevention? 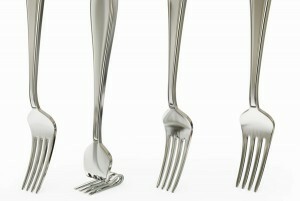 Think of technology not as a magic wand, but rather as a fork. You can eat salad with a fork, or you can stab someone in the leg. Much like a fork, technology can be part of the problem or part of the solution. My co-author, Dr. Terri Erbacher, a school psychologist and national expert on school-based responses following a suicide death (aka “postvention”), points out that technology has made it hard for schools to “control the message” following a suicide death. She recently texted me (no irony intended), “A decade ago, if I heard of a suicide, I could take my time to plan a crisis response. Now, students are finding out on social media before I do, and there is no way to ensure that the information they are getting is accurate” (T. Erbacher, personal communication, November 22, 2015). Schools want to control when and how the message is delivered, because the time right after a suicide increases risk for youth already at risk for suicide. Best practice postvention includes telling students in relatively contained settings with teachers and mental health professionals ready to support students. You would never announce a suicide death over the PA, and yet social media acts like the biggest PA system in the world. Technology can be helpful in preventing suicide deaths. Word recognition software helps organizations (including Facebook, Twitter, and schools) monitor text for suicide-related words and phrases. If, for example, a student is on a school computer and does a Google search for “ways to kill myself,” software can alert school officials so they can intervene. Despite the potential of word recognition software, most youth are not likely to use school computers to access the Internet. Nearly 71% of youth access the Internet from smartphones (Lenhart, 2015). Monitoring social media requires the kind of “big data” analytic tools that the U.S. military uses to identify suicide risk in soldiers (Olavsrud, 2013). Because monitoring youth for suicide risk is an essential component in suicide prevention, one option is for schools to allow staff to be friends with students online. I realize this is a controversial topic. The NASW Code of Ethics (2008) clearly states that social workers should avoid dual relationships and should maintain client confidentiality. Can you be friends with students on Facebook without engaging in dual relationships or violating confidentiality? Most people have argued that you cannot, and, therefore, that you should avoid being on social media with students. Tell your supervisor, principal, or administrator that you are going to set up a professional social media account. Provide her or him with the password, and agree that the account can be monitored. Let students know that you are online and available. Let them know that it is your professional account and that your supervisor has access. Explain that you will accept a friend request (or whatever it might be called on the social network), but that you will not make friend requests. Although this does not address the problem of school personnel being overworked, it does present a creative way to see technology as a good fork, and start where the student is to reduce suicide risk. Kelly, M. S., Berzin, S. C., Frey, A., Alvarez, M., Shaffer, G., & O’Brien, K. (2010). The state of school social work: Findings from the National School Social Work Survey. School Mental Health, 2 (3), 132–141. Retrieved from: http://doi.org/10.1007/s12310-010-9034-5. NASW. (2008). Code of ethics. Washington, DC. Olavsrud, T. (2013, August 28). Durkheim project leverages big data to prevent veteran suicides. Retrieved November 23, 2015, from http://www.cio.com/article/2382934/big-data/durkheim-project-leverages-big-data-to-prevent-veteran-suicides.html. Jonathan B. Singer, Ph.D., LCSW, is an associate professor of social work at Loyola University Chicago and the founder/host of the Social Work Podcast. He is the co-author of Suicide in Schools: A Practitioner’s Guide to Multi-Level Prevention, Assessment, Intervention, and Postvention.